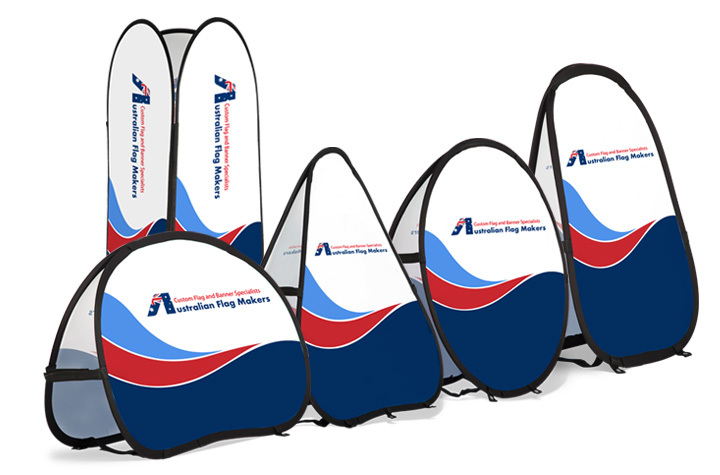 Traditional banner displays are eye-catching and effective, but they can be a bit stuffy. 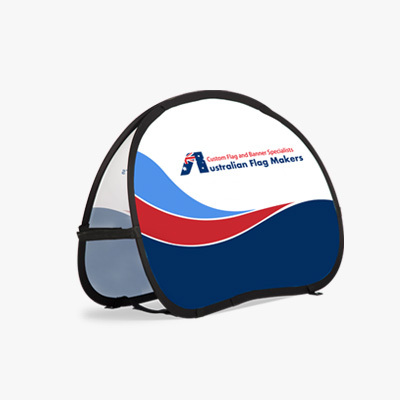 If you want to promote your brand at a more informal event, consider a pop up A frame from Australian Flag Makers. Instead of relying on a metal stand, our pop up A frames literally pop up and hold their own shape. 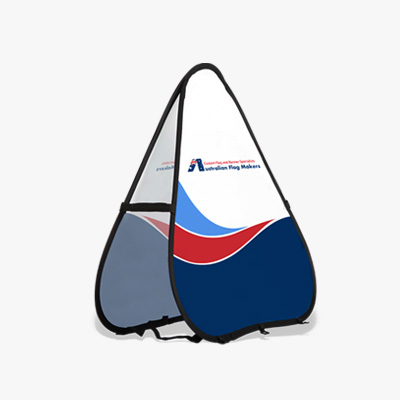 They are extremely portable, making them perfect for both indoor and outdoor events. How does a pop up A frame work? 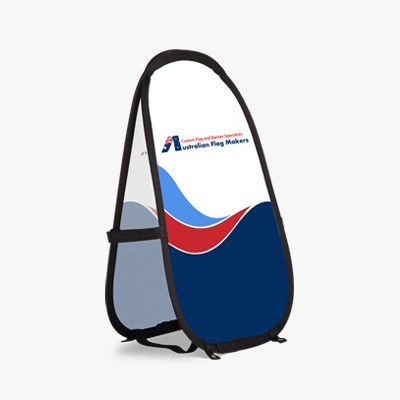 Pop up A frames are a popular product because they’re so easy to use. Each A frame consists of two rigid panels of peach skin fabric that feature your image or logo. They are connected at the top with feet at the bottom. Simply pull apart the two panels and set them on the ground. The panels are also connected on the sides and the bottom, so you never have to worry about the banner falling flat. Where can I use my new pop up A frame banner? It would be better to ask where you can’t use your new pop up A frame banner! Because they are so compact and easy to set up, they can travel with you just about anywhere. 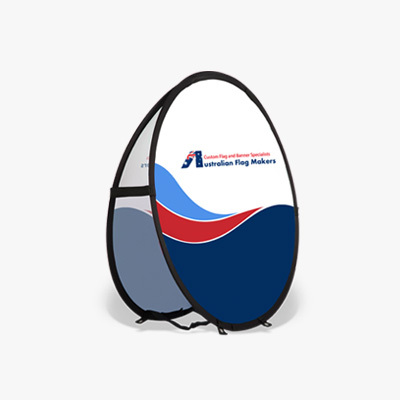 Many of our customers love using these banners at trade shows and conferences, but you’ll also find the pop up A frame to be useful at sporting events, farmer’s markets, and even at the beach! There are multiple shapes and sizes to choose from! For help deciding which one is right for you, give us a call. 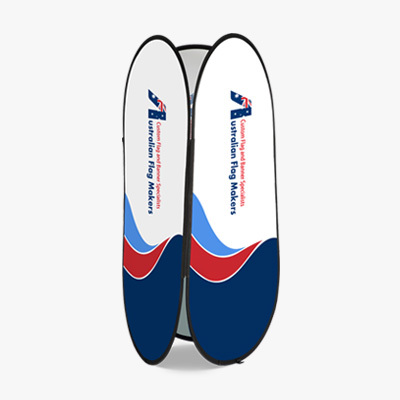 We’ll help you design the perfect banner for your business. Please tell us a few things about your request this will help us quote you better. Things like Size - Quantity - Project Ideas. The more you can tell us the better.